You can buy new 13ft scaffolding tube from us as we always have a large supply available. The type of poles we sell are called “type 4” which in general terms means that the inside thickness of the bar is 4mm and the outside diameter is 4.83mm as standard. 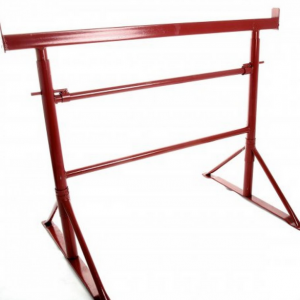 They are heavy-duty and have been made from only the highest quality galvanised steel in the UK, they have also been treated with a zinc coating to enhance the scaffold tubes toughness and resistance to rust. 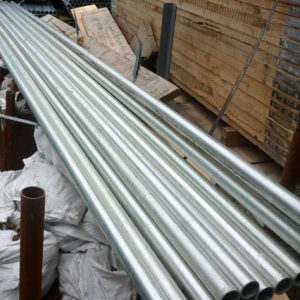 We only sell 3.9m scaffold tubes that are British standard certified to BS EN 39 standards as we then know that these poles are safe and comply with BS standard guidelines. 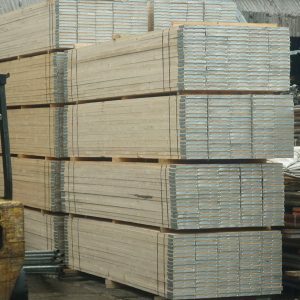 13ft tubes are used primarily to build scaffold access towers or structures for trades to work from, however they can also be used to support timber scaffold boards or planks. They also have many other uses and the 13ft pole is one of the most popular sizes that we sell. Framework for stages and platforms. An element used for tree and root protection. 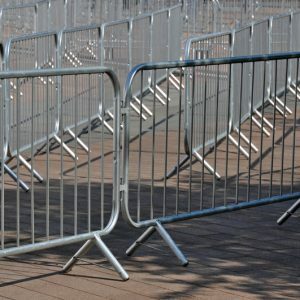 Support frame for public outdoor events. 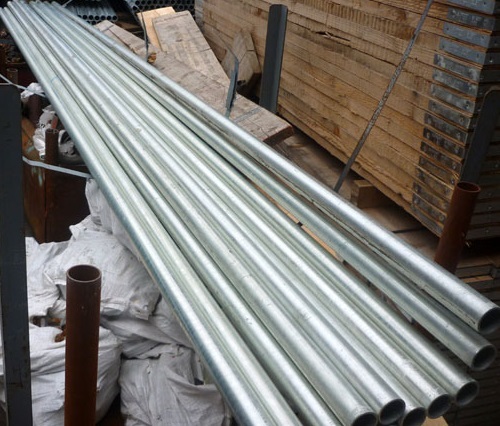 Our 3.9m scaffolding tubing can also complement our aluminium tube and metal fittings. Do I need to order a minimum quantity of 13ft scaffold tubes? Yes, you do, in order to qualify for delivery, we do ask our customers to purchase a MINIMUM QTY OF 5 x 13ft scaffolding tubes to receive delivery. Important 3.9m scaffold tube facts. They are certified and comply with BS EN 39 British standards. Are coated with zinc to enhance its longevity and prevent rusting. Related tube accessories options available. New scaffold poles in 21ft, 16ft or 10ft, 8ft and 5ft lengths. New scaffold boards in lengths of 13ft, 10ft and 8ft. Scaffolding fittings including doubles, swivels and single clamps. If you are wanting to order large quantities of the 3.9m scaffold pole, please do get in touch as we will be able to offer you a discount on your order, but this is open to our discretion. If you need help working out how many 13ft scaffolding tube you require for your project, contact our sales team who will be happy to assist you further and ensure you are purchasing the correct amount of tubes for your requirements.